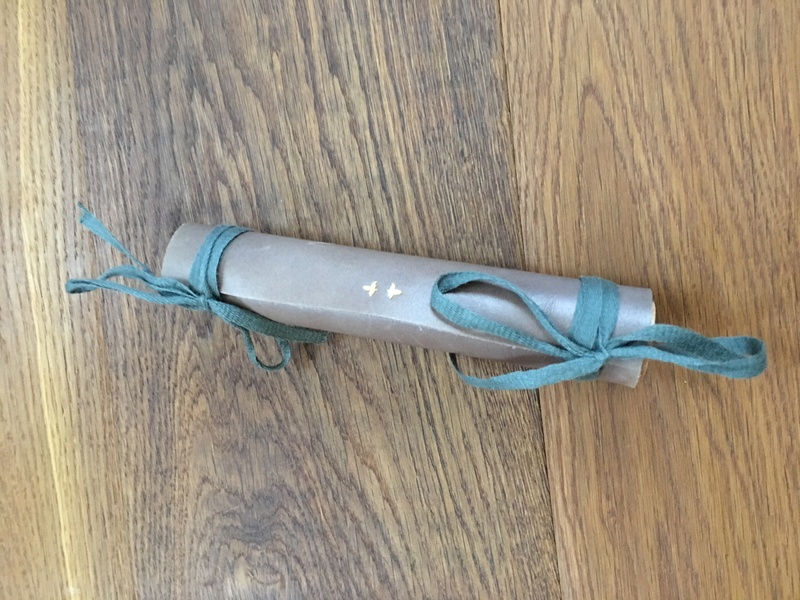 These scrolls I've got recently. 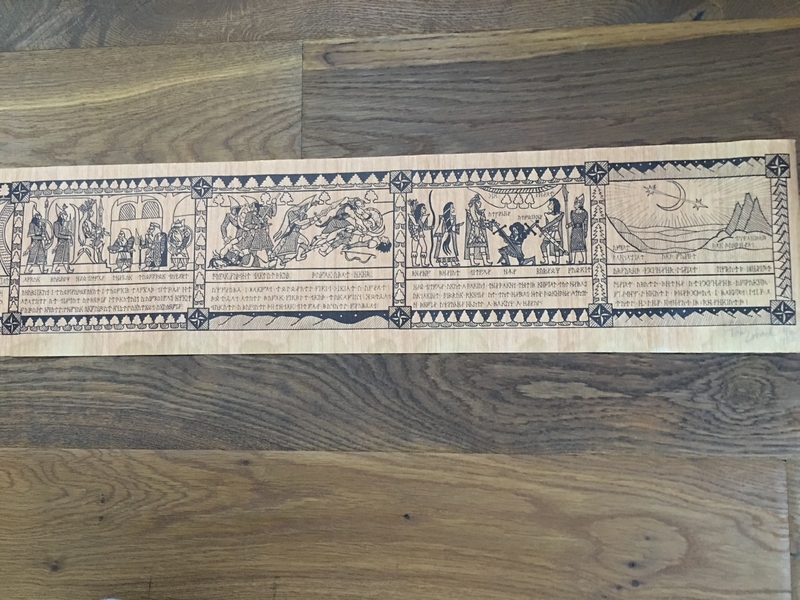 They both show identical sequences of the Silmarillion, called 'The Thingol Scroll', created by Tom Loback. They both are signed and numbered out of 100. The first one seems to be printed on a thin paper material and is numbered 46/100. 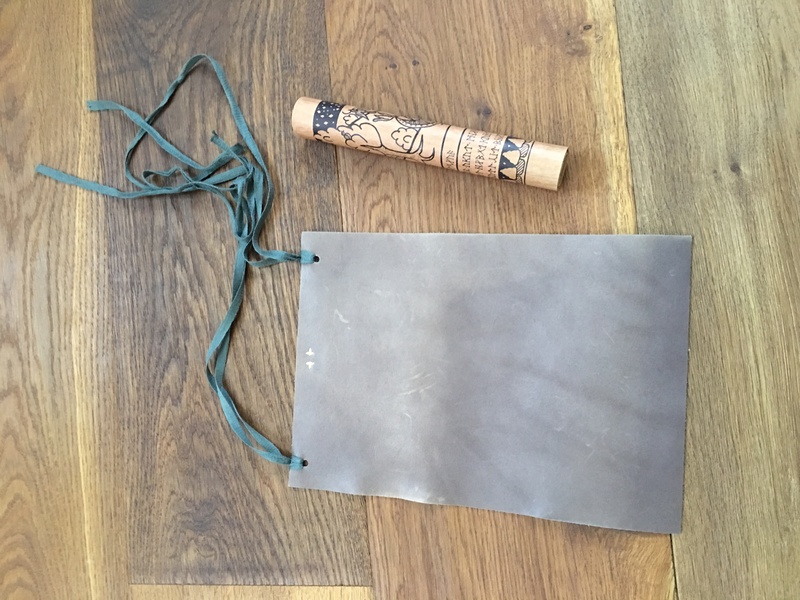 It is wrapped in the shown leather wrap. 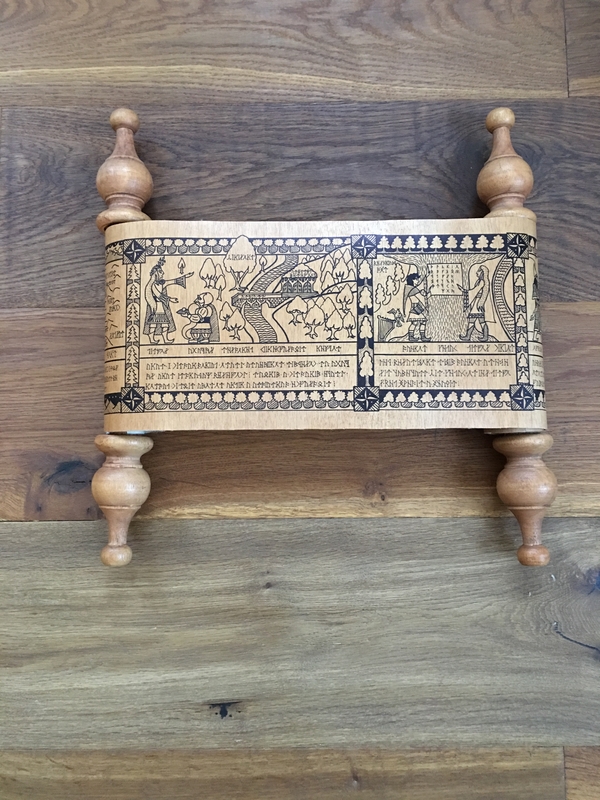 The second with wooden handles seems to be made out of plywood. Both are nearly 60 inches long. I would like to pass the first one because I don't want to keep both. If someone here in the forum is interested in, I would be happy to hand over this artwork. Please let me know via PN and negotiate the price. Tom Loback came from New York. In early 1990s he was a very popular illustrator of J.R.R. Tolkien's tales and his artwork was published in such magazines as Beyond Bree, Vinyar Tengwar, Mythlore, Parma Eldalamberon, and others. 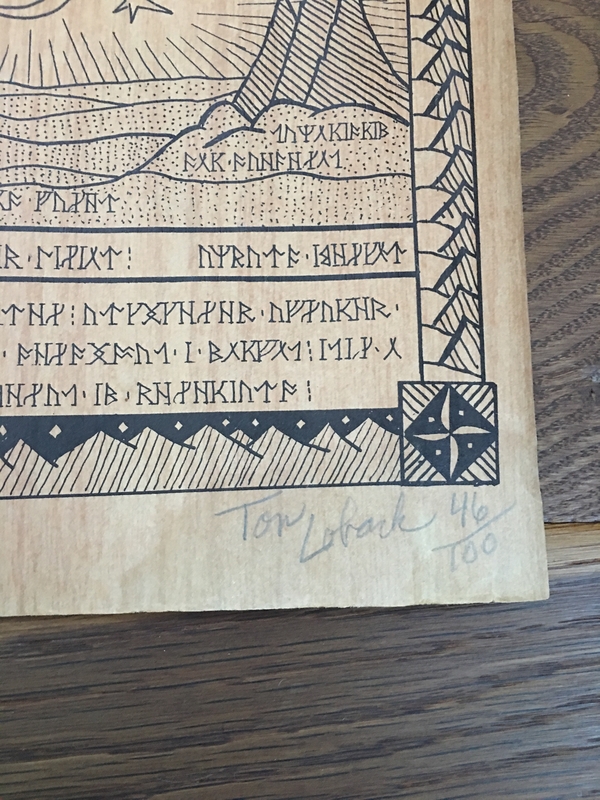 Being an Elvish linguist, Tom Loback employed in his artwork short Sindarin and Quenya compositions written in cirth and tengwar. He died in 2015. Ha, ha, I know what you mean.You can spend your money once only..
Hope to find a good new home for this extra scroll and get some new resources for further acquisitions. great to hear that Stu, I am very happy for you! Sending best wishes to your family. I would have met Tom at the 1987 Mythcon in Milwaukee. 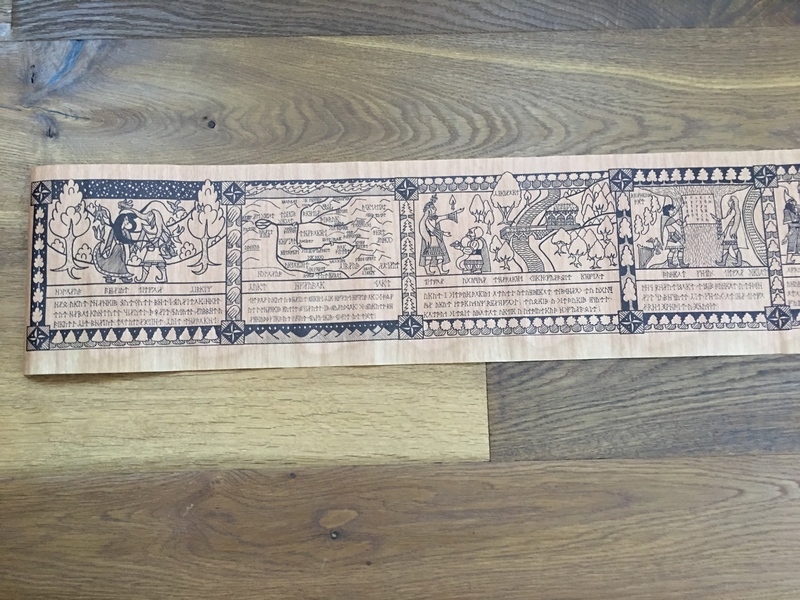 Loback's promo brochure (ca 1987) states the scrolls (#s 1 - 5) are on cherry wood veneer backed by cloth; "virgin linen" (private communication). Listed at $175.00, size 6 3/4" x 54". The fourth series, #s 31 to 100, were on "imitation wood veneer and are priced at $20.00 each." 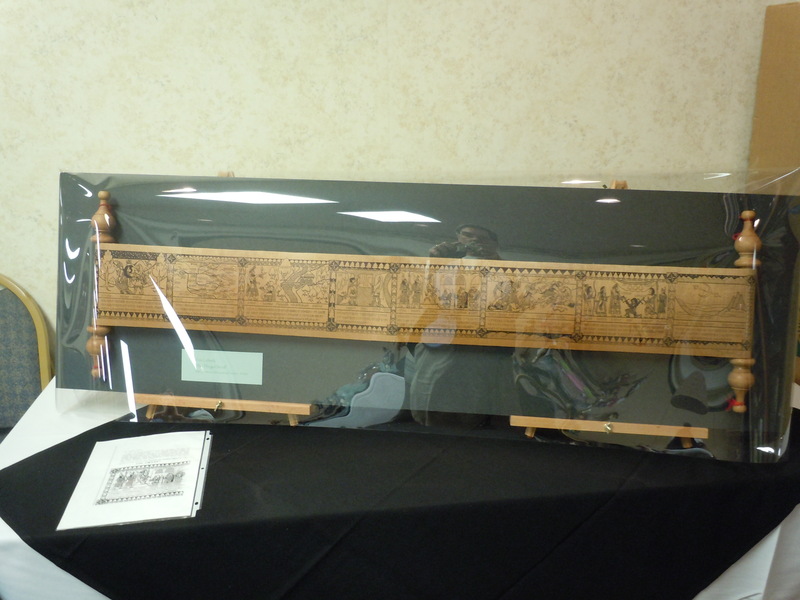 I did get to show the scroll at Mythcon in 2011. At that time he also had printed The Fifth Battle, also with a series on wood veneer, maple. 27" x 18" and the Series 1 was a $100. Thank you Arbor very much for the update. So 20 dollars for the basic version or so. I hope Ithildin that you didn't pay too much for these. To be frank, I would pay more than 20 dollars for these, they are really nice to look upon. Ta -. I shouldn't refer to him as a newborn now, as he will be three months old, soon. He is finally (this week) into nappies the next size up, and has recently graduated to size 0-3mth clothing. I think he is more Hobbit than Giant! 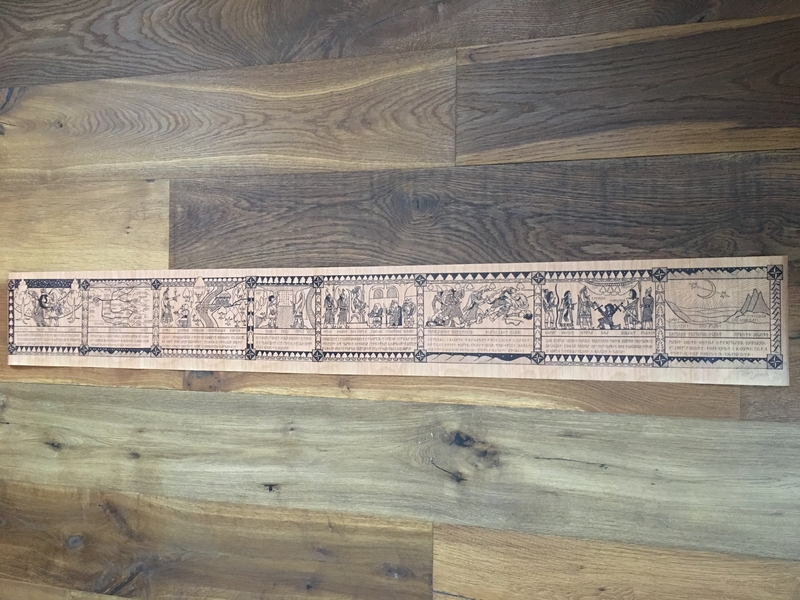 That’s interesting, so only 5 scrolls were made on cherry wood, that’s right? And number 31 to 100 were on imitation wood veneer: what’s about number 6 to 30? You know something about them, Arbor? Probably not very up to date..